On February 10, 2018, Mercy hosts our annual Benefit Off Broadway. This event features live and silent auctions, dinner, a Wheel of Chance, a $25,000 capital prize drawing and the opening of the treasure chest. 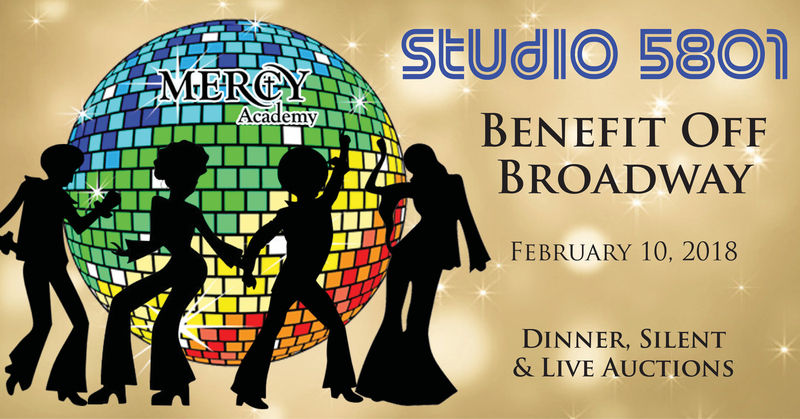 So, grab your bell bottoms and platform shoes, and get ready to dance the night away in support of our Mercy girls. Click here to preview items on our Wheel of Chance, and click here for the order form. To purchase tickets, contact Leslie Hibdon at (502) 671-2021.